(Newser) – Hey, developers: If your next game title features the word "candy," you may want to rethink it. 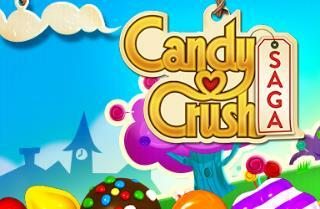 The company behind hit mobile app Candy Crush Saga has a provisional trademark on the word, the San Jose Mercury News reports. A Florida developer is among those who have reportedly received warning letters. Benny Hsu's game title included the phrase "All Candy Casino Slots." Following a form email from Apple, Hsu has decided to change "candy" to "sweets"—but he isn't happy about it. You can do your part to help by blocking people who send you app requests. So I guess earning a million dollars per day isn't enough, they also feel the need to sue to earn more...Greed is good! Intellectual property is a scam. It contradicts a true free market, and slows the progression of humanity.